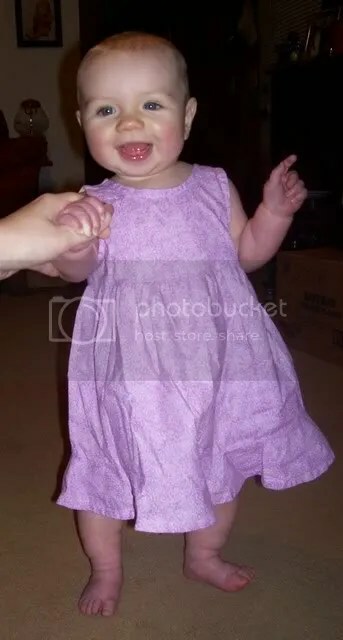 onto my craftyness, heres a dress i made a while back that actually fits my little munchkin now. its a little wrinkly from being in a box but i think this style looks adorable on my little one anyways. was fun to make and i need to find more time to make more of these!